From left: Senate President Joe Negron, Gov. 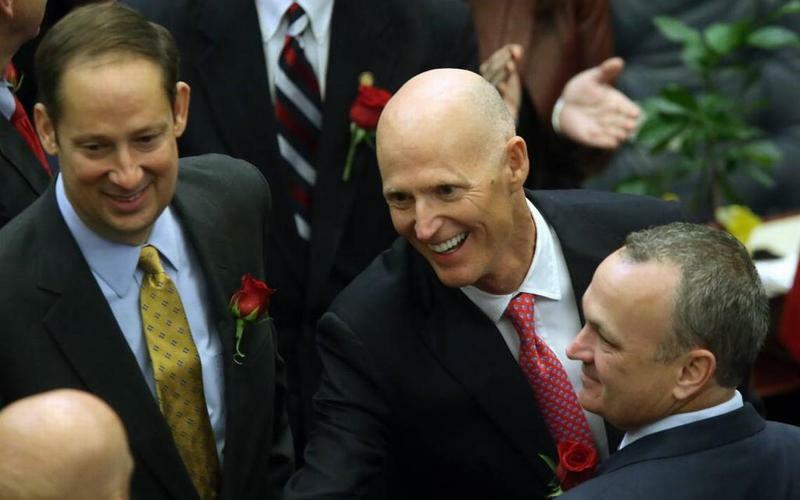 Rick Scott and House Speaker Richard Corcoran. The leaders of the Legislature are far apart on proposals for higher education funding but say it's just a "routine" part of the budget process. The two chambers of the Legislature are hundreds of millions of dollars apart on how much to spend on the dozen public institutions, including Florida International University in Miami and Florida Atlantic University in Boca Raton. But legislative leaders say they’re confident they’ll find a compromise during budget negotiations, which are only just beginning in earnest. “In my experience working on the budget, the differences between the House and Senate and very manageable and expected and pretty routine,” said Senate President Joe Negron, a Republican from Stuart who chaired the appropriations committee before ascending to the chamber’s top post. 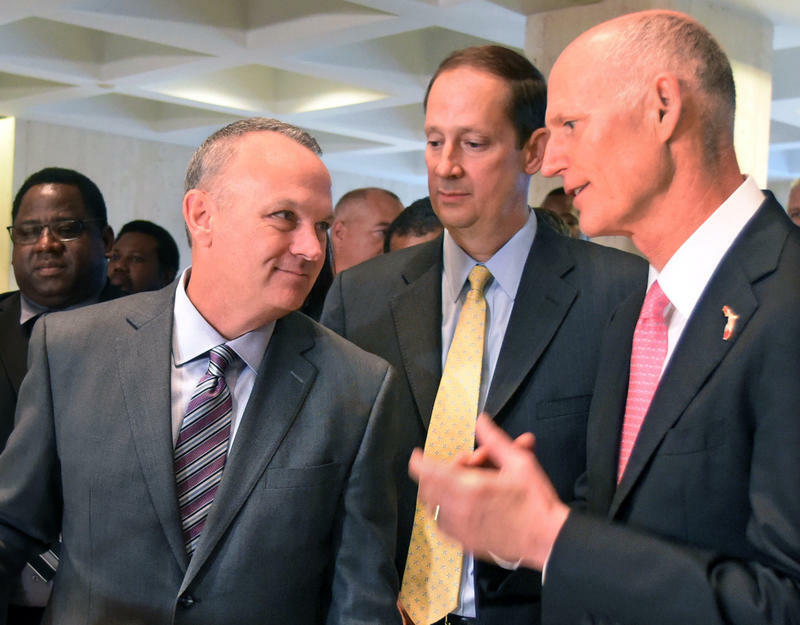 Negron and his counterpart, House Speaker Richard Corcoran, both addressed the State University System’s board of governors last week, when the regulators held their bimonthly meeting at Florida State University in Tallahassee. The speeches came just after legislative budget committees began unveiling preliminary budget proposals for 2018-19. The Senate’s would increase funding to the universities by $187 million, while the House would cut the schools by $217 million. Negron and Corcoran downplayed the gap between their plans. Committees releasing their budget proposals is an early step in the negotiation process. Soon, each chamber will vote on its respective spending plan. And then there will be a series of meetings — in public and behind closed doors — where lawmakers will make offers and trades until they come to a final compromise. So what Negron gets for universities will probably depend on what he’s willing to give for Corcoran’s priorities. And Corcoran has focused on promoting charter schools, vouchers and other alternatives to K-12 public schools. 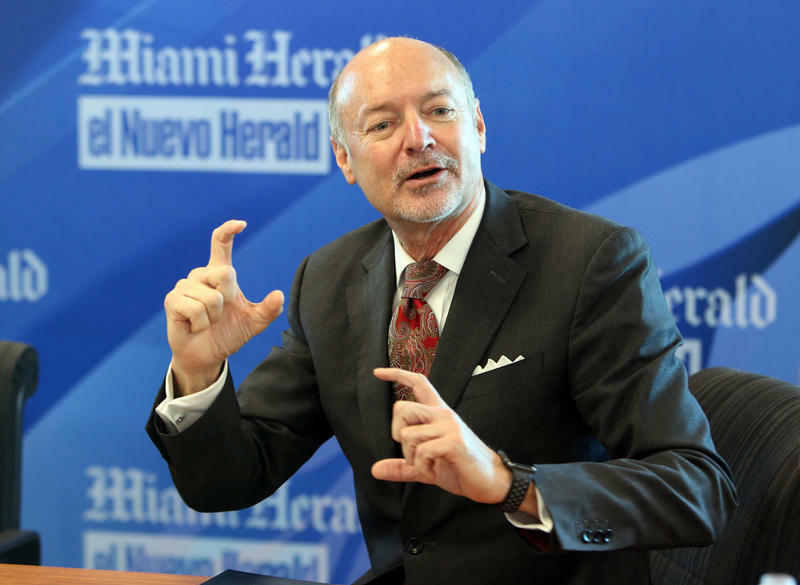 FIU President Mark Rosenberg said lawmakers always start out with differences in their plans and usually end up with a budget that makes sense for state universities. "There is never a time, as an educator, when we will not need or want more resources," he said. "I would like to see universities and state colleges getting the resources that they need so that they can exceed expectations of our political leadership." The session is slated to end on March 9.